Having been to Costa Rica in the past, I was excited to try Irazu to finally get some authentic cuisine. When first arriving to the restaurant, it is a little confusing. They have a small dining area in the back, but there is not adequate signage or a hostess to really help you out. Overall, the food was good, but not memorable. The appetizer was the best option (I guess that is why they consider it their specialty). I was disappointed with their service... after quite a wait, our waitress finally arrived to take our drink order. It was even longer before the food order was taken and that much longer for our food to arrive. Because of the disappointing services, I could only rate them at a 3.5 mile rating. This is what I call a "# layered dip!" It was our appetizer and was layered rice, black beans, chicharones, pico, avocado, and their special sauce. The various layers was a great concept, but I wished they served it in a glass bowl so we could see. Anyway, the there was tons of meat in this appetizer with the chicharrones (fried pig skin) adding an additional crunch to the already freshly fried tortilla chips. 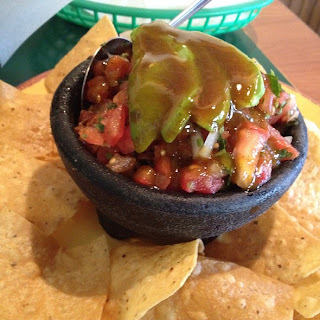 The pico added a nice freshness and spice that helped cut some of the greasiness from the chips and chicharrones. The avocado added the creaminess, while their special sauce was a sweet and tangy style sauce that actually worked really well. It gave a hint of sweetness that most people would want. 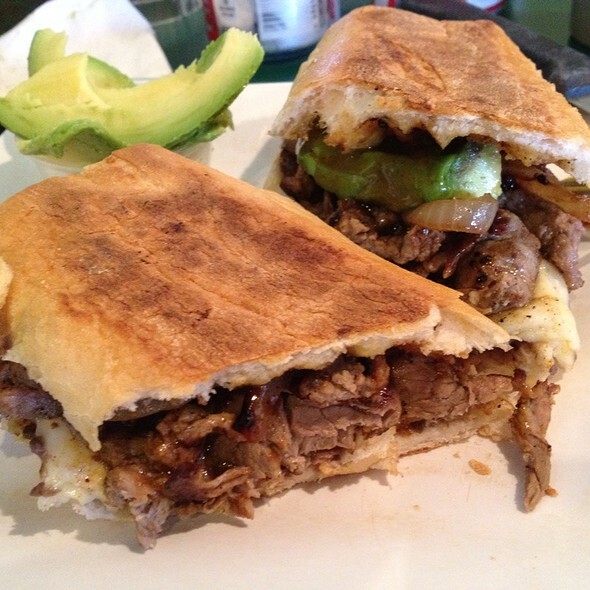 This is simply a steak sandwich with grilled onions and sliced avocado. It was featured on Diners, Drive-ins, and Dives so I figured I would try it. The bread was nice a crispy sort of like a panini. Unfortunately, the steak was not only oily, but chewy and it didn't have much flavor besides the typical grilled beef taste. I would suggest asking for additional salsas so you can drown the sandwich in their salsa or pico. I wished there was also more of a spice. I guess I wouldn't order it again, but let me know what you think. - Order the Chifrijo for sure! - It gets quite busy so make sure you have time to spare just in case there is a wait. - Don't forget to order one of their speciality shakes/drinks. I did, and when walking out I regretted it when seeing everyones shake (oatmeal).